Zipping — or compressing — and the best choice to unzipping — or extracting — files have become some of the most inevitable things to do in the computer world. The main reason why computer users will want to be able to zip and unzip their files is the limitation of the storage space they have on their system. By zipping some of the files that they only use now and then, computer users will be able to save quite a considerable amount of storage space of their computer’s hard drive. Then, whenever they feel they may need the files again, they can simply unzip them and regain access to those files. Unfortunately, zipping and unzipping may not always work. Windows Vista users have reported that, at times, they happen to receive an error message while they are trying to unzip their files. However, even though it is reported to take place on Windows Vista, it does not necessarily mean that it cannot take place on other versions of Windows so it’s better safe than sorry. The error message that Windows Vista users have reported is error code 0x80004005. At the moment, there seems to be no definite solution to this particular problem yet. However, despite so, there are some suggestions that are worth trying. It won’t hurt to try after all. Starting from Windows XP, Microsoft has included a preinstalled zipping/unzipping feature. However, due to the error that Windows Vista users receive, it may turn out to be wiser to use a third party zipping/unzipping utility as often suggested by other Windows users. Fortunately, there are quite a large number of such utilities that users will be able to find spreading all over the World Wide Web these days. While some of these utilities will require the user to pay in order to use their full functionalities, there are also some others out there that are totally free without any hidden costs. 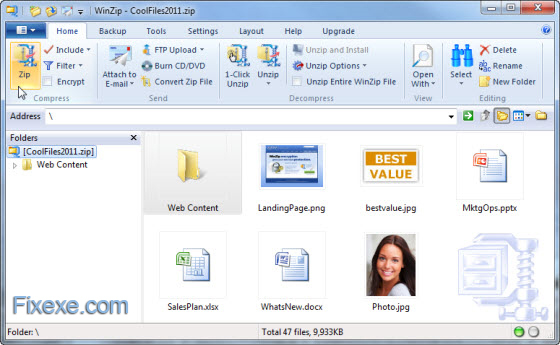 WinRar is one example that needs paying while for a free one, 7-Zip may seem to be what the users are looking for. 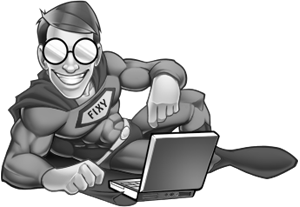 However, in case things still do not work out even after the users have tried such third party zipping/unzipping utilities, there may be some other factors that cause the error code 0x80004005 to persist. With that being said, it is often quite a good idea for the users to check the source of the files they are trying to zip or unzip. For example, if the files come from a CD-ROM, the users will have to make sure that they are attempting to unzip the files to their hard drive or USB flash drives that allow writing of data onto them. CD-ROM is simply formatted as read only — the ROM in CD-ROM stands for Read Only Memory — and this may have been the cause of the error. Users will never succeed if they try to unzip their files to a CD-ROM device. Yet, if this still does not do the trick, users may have to check if the source files have become affected by some kinds of viruses, malware or spyware. I just want to tell you that I’m very new to blogging and raelly loved this blog site. More than likely I’m planning to bookmark your site . You absolutely have fabulous posts. Kudos for sharing with us your web site.